Though most people seem to be enjoying the heck out of Pokemon GO, with the app receiving an overwhelming amount of press coverage in the week since its release, it's got its fair share of haters, too. 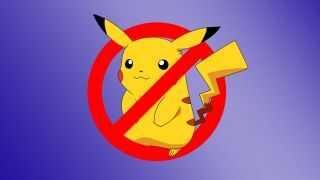 You can count Jamie Farrelly among them, a software developer who, by his own estimation, spent 45 minutes creating the Chrome extension PokeGone, which promises to "remove all traces of Pokemon from the internet" and "stop your eyes from seeing grown adults raving on about Pokemon." Based on Rob Spectre's recent Trump Filter, which blocks Donald Trump from appearing in your browser, Farrelly told one Twitter follower that he created the extension because there's "only so much Pokemon talk a person can take." Unfortunately, the extension won't be able to stop Pokemon GO players from wandering around in the streets, cluelessly staring into their phones for creatures that aren't actually there. So if you're one of the people that's had enough Pokemon-talk, you can install PokeGone to delete every trace of the yellow rodent from your browser. Which, we guess, also includes this article you're reading right now… Uh, on second thought, forget we said anything.